As a service-based offering, Waprinting tracks account, user, and transaction information. Waprinting does not make any personal customer data available to third parties. We do not sell lists, accept advertising, or generate any third-party revenue from information collected on this Web-site. We do not share customer data with other customers. We consider our customers' information to be private and proprietary. Outdoor stickers designed and printed by WA PRINTING are suitable for all outdoor uses. 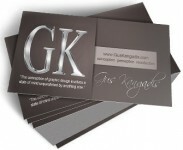 Add a touch of class to your business card with our foiling option available in a range of colours. Display flags of different size and styles for your business. Print vibrant images and documents with our printers that ensures your colour copies come out the way you want them from as little as 0.55 cents per page. Keep fresh in your customer's minds by WA PRINTING wall calendars.